I love this show, when I can’t watch it I record it, the stars are perfect they seem work so well together. Please concider another season ever though I haven’nt seen season 11 yet I’m looking forward. It is the only reason I get Ovation. Lets hope they don’t do us wrong like in 2017 when they started off with an evening time slot only to switch it to 12 noon. Like we work people. I got to see episode 1 of season 11 and it was great. Search the internet and you might find it also. I have especially enjoyed watching Detective Murdoc/Artful Detective so much that I started logging all the episodes. My first one was March 2, 2010 until an episode of January 24, 2008. If this is Season 11 starting in January 2018 then the series must have started in 2007. I haven’t seen any from 2007 and only one from 2008. I’d like to see what I have missed. 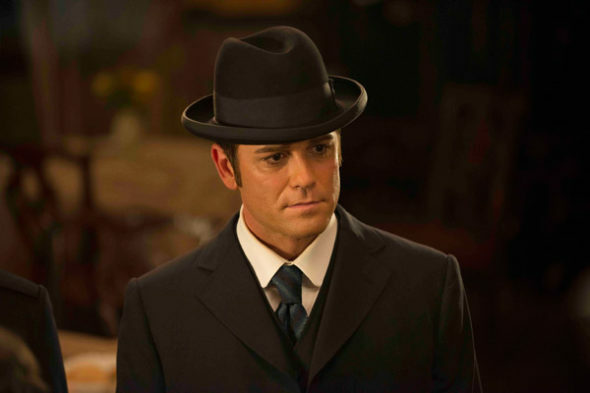 I have been anxiously awaiting the new season of Murdoch Mysteries/Artful Detective on Ovation/CBS and it has not made its appearance, what gives my friend in Bothell, Washington is now on episode 4 of season 11, why is it on being aired in the Houston area? one of my favorite shows I will see Season 11 and any future seasons. I hope that it will more Season thank you so much, just love the show. What is the difference with this and Murdoch Mysteries other than calling it The Artful Detective? Love this show!!! So unique and interesting! Can’t wait!!!!! Love this show!! Cannot wait until January!! Until then reruns of all 10 seasons will have to do!! Love the show enough to watch reruns. Haven’t missed any. Keep up the good work. Yes I’ve seen the series and love it emencely. Every show that I love seems to always be taken off. I pray this stays on forever.